In 1970, San Francisco firefighter Cecil De Loach, and his wife Christine, purchased the prized Barbieri Ranch in Russian River Valley’s coveted Olivet Road district. Both came armed with advanced degrees in anthropology but no background in farming or grape growing. That said, they had long dreamt of finding land their family could own and work together. For his part, Louis Barbieri, whose father Itilo planted the vineyard in 1905, was gratified to pass the vineyard on to a family committed to honoring its past, and stewarding its future. During those early years, Cecil continued his “day job” as an SF firefighter while he and Christine delved into their new roles as grape growers. They took classes both at Santa Rosa Junior College and UC Davis, read everything about grape growing and winemaking that they could get their hands on, and availed themselves of the generous mentoring offered by neighboring growers and vintners; many of whom had tended the area’s “old vines” for decades. In 1973, the De Loach family became the first to plant Pinot Noir on Olivet Road when they purchased a second vineyard property not far from their Barbieri Ranch. The 17-acre site, still has Old Vine Zinfandel (planted in the 1880s) and the De Loaches planted to Chardonnay, Pinot Noir and Gewurztraminer, would later become home to the family’s first winery De Loach Vineyards. By the time De Loach Vineyards opened its doors in 1975, Cecil and Christine had emerged as leaders of the Russian River Valley movement, and were among the first to use that designation on their labels. 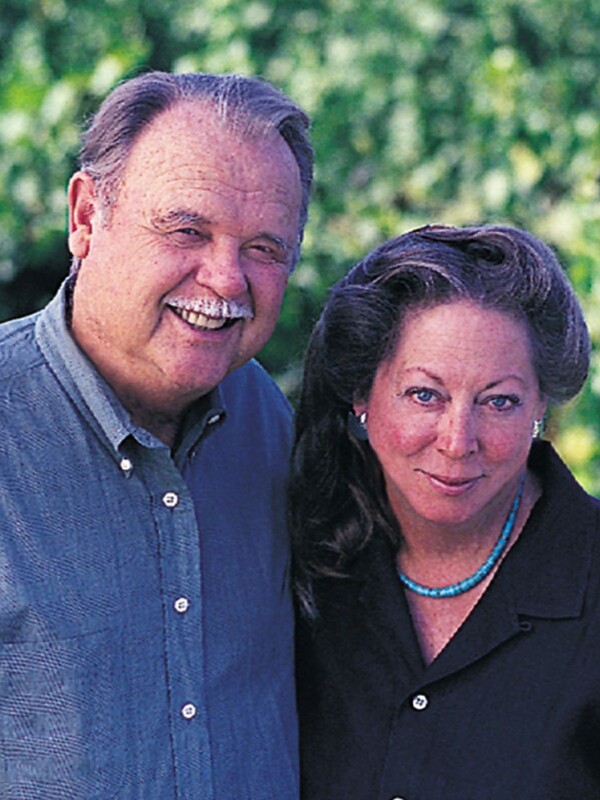 Cecil and Christine were founding members of the Sonoma County Winery Co-op, with Cecil going on to become president of the group. Both Cecil and Christine have served as board members for Sonoma County Vintners, California Wine Institute and Sonoma County Vintners Co-Op. Christine and other members of Sonoma County Vintners that worked tirelessly to research and petition the TTB for Russian River Valley’s appellation status, which was granted in 1983. The De Loach’s also championed the site-sensitive and environmentally friendly farming practices – including the use of nutrient-rich cover crops and beneficial insects, birds and biologics – that today comprise “sustainable farming”. In fact, Christine went on to help draft the first California Code of Sustainable Winegrowing in 1999. After the sale of their acclaimed De Loach Vineyards in 2003 to French vintners Boisset Family Estates, Cecil and Christine continued to farm and make wines from the more than 148 acres of vineyard Russian River Valley – and moved on to their next winery project. In 2003, they launched Hook & Ladder Winery on Olivet Road, just down the street from their original De Loach Vineyards. Named for Cecil’s 17-year career as a San Francisco firefighter, Hook & Ladder is helmed today by grandson Jason De Loach, an accomplished winemaker who joined the winery in 2006. Hook & Ladder is an “estate” producer, specializing in small bottling’s of Pinot Noir, “Old Vine” Zinfandel, Chardonnay, Cabernet Sauvignon and Bordeaux-style blends sourced from the family’s sustainably-farmed vineyards in Russian River Valley and its sub-appellation, Chalk Hill. The winery also produces and sells estate-grown Olive Oil from trees grown at their Los Amigos Ranch. These days, Cecil and Christine can often be found at the winery they founded, helping out in the office, cellar and occasionally in the tasting room, which is festooned with fire station t-shirts given to the winery by visiting fire fighters from all around the world.